Just last week, we published a piece entitled, “The FDA’s Warning Letters for CBD-Related Products”. The companies that received warning letters include Natural!, the Stanley Brothers, Natural Alchemist and Green Roads Health, Cali Stores, Dose of Nature, Green Garden Gold, Healthy Hemp Oil, Michigan Herbal Remedies, LLC, Morgue Juice, Pain Bomb, LLC, Sana Te Premium Oils, Canna Companion, Canna-Pet, LLC, CBD Life Holdings, LLC, Hemp Oil Care, Natural Organic Solutions, and Twin Falls Biotech, LLC. They were warned for their product/s not containing the cannabidiol (CBD) they stated they had, making misleading medical statements, or sold their product as a food supplement when they shouldn’t have. Eagle-eyed readers will notice that the letters sent by the FDA are all companies that work with hemp-derived CBD. The fact that so many companies get letters for not containing the CBD their product/s claim they have is not surprising – although hemp does contain cannabinoids, many hemp plants may not contain the right amount of cannabinoids needed to make a CBD-rich product. 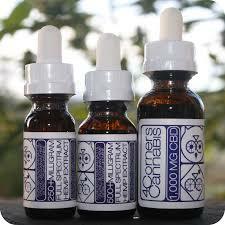 We here at Leafwell have always been a little suspicious of hemp-derived CBD for a variety of reasons. So which companies can patients trust? Sadly, we do not know the answer to this, and it is probably worth casting a critical eye over all cannabinoid-based products until testing for safety and accurate labelling becomes mandatory. However, this doesn’t mean there might not be some companies that aren’t more trustworthy than others. Here are a few CBD-rich products that may be worth looking into in 2018. 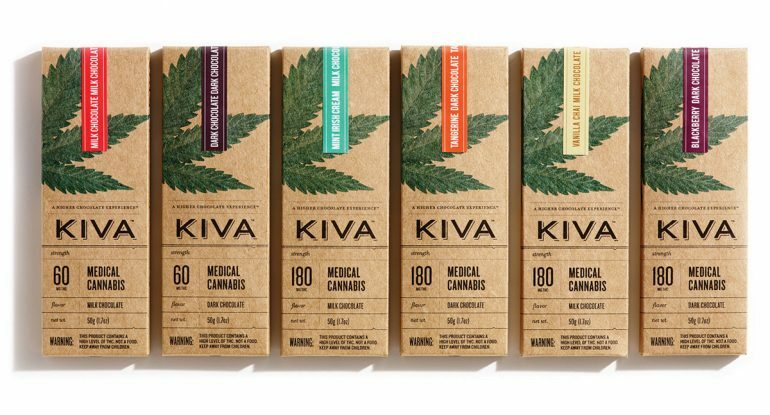 Kiva’s 50 g chocolate bars state that they have 30 mg CBD and 30 mg THC in them. 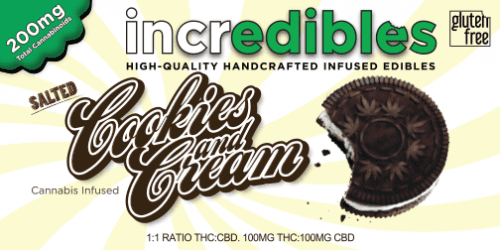 We don’t know if this is accurate or not, but it’s probably a better place to start than a 1,000 mg THC edible. Kiva also have a range of strengths and flavors to choose from. Incredibles state that they lab-test all their products. They also have a prize-winning chocolate bar in the form of Black Cherry 50/50, which contains 50 mg of THC and 50 mg of CBD. A bit of an interesting product this one. We state that we’re missing out on the pure CBD, hemp-derived products, but this Colorado-based company states on its website that “Although our products are the same grade as medical marijuana, our THC levels are so low that our products are legally considered hemp under International Laws and legal all 50 States!” As stated already, we’re suspicious of CBD-only products, especially ones derived from hemp (despite the fact that “hemp” and “marijuana” are both Cannabis sativa), this product has piqued our interest due to its claim to being the same grade as medical marijuana – let’s just hope that they are accurate with their labelling and aren’t just trying to cash in on the CBD craze. As we’re suspicious of so many products out there that claim to be “CBD-only” (which we feel takes away from the medical potential of the cannabis plant – other cannabinoids, including THC, helps CBD do its job), why not grow your own if possible? Resin Seeds arguably created the main cornerstone of CBD-rich strains today with Cannatonic, and they have other interesting crosses such as Dieseltonic as well. Resin Seeds have also worked with CBD Crew, who make CBD-rich versions of strains mostly found at Mr. Nice Seeds/the old Sensi Seedbank. This suggests that Resin Seeds knows what they’re doing. Like any reasonable person, those who enjoy cannabis seem to have a predilection for pizza. So what better than a pizza sauce for some homemade treats? 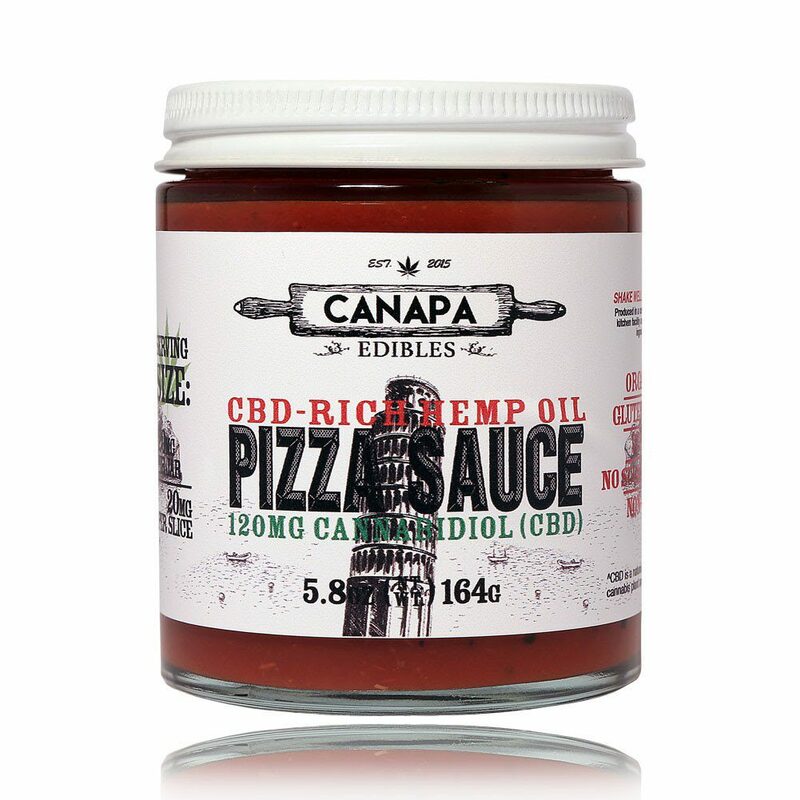 Canapa makes a pizza sauce containing 120 mg of CBD, and won second place at the 2015 High Times Cup. Unfortunately, the CBD is hemp-derived, but at least this means you can get it throughout the US (and even the world!). Yes, yes, we know. Many of the products above have been around for a few years, or at the very least last year. However, we don’t know if there are a huge number of CBD-only products that are both trustworthy and have the potential medical benefits a full range of cannabinoids and terpenoids can bring. The only way patients can find out at the moment is by trying a little bit of everything in small doses, and seeing what works.